There is also scepticism about whether an entrance test for grammars can be made “tutor proof”. Neil Carmichael, the committee’s chair, says the focus on expanding grammars has become an “unnecessary distraction” from improving the school system. The Department for Education has argued that removing the ban on opening new grammars will be a way of making “more good school places available, to more parents, in more parts of the country”. 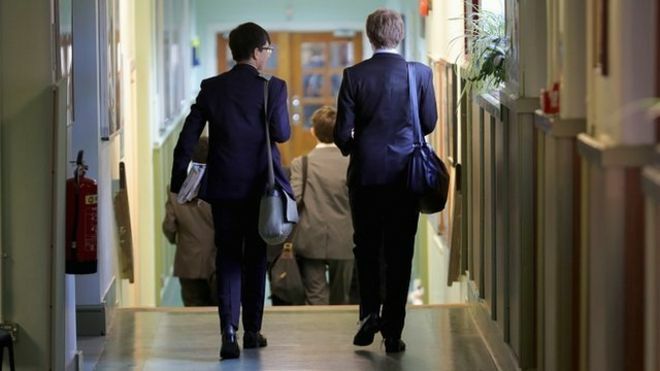 The cross-party committee of MPs, responding to the evidence gathered about plans to increase selective education, said ministers still needed to demonstrate how this would improve social mobility and close the gap between rich and poor pupils. Head teachers wrote to MPs last week to express their “incredulity” that grammar schools were being offered extra funds to expand places, while they were facing job cuts because of deepening pressures on their budgets. The cross-party committee also highlighted the vagueness of the plans so far – with no clear outline of how many grammar schools would be created or how local demand for such grammars would be measured. There were also questions about whether this push for academic selection should be a priority when there had been so many concerns about vocational skills shortages. “The focus on opening new grammar schools is, in my view, an unnecessary distraction from the need to ensure all our young people are equipped with the skills to compete in the modern workplace,” said Mr Carmichael. Since the prime minister last year announced the ambition to create new grammars, there have been few details of how this might be put into practice. But last week the Grammar School Heads’ Association published details of a private meeting with education ministers, where they discussed options for expanding selection. This suggested that new grammar schools could open from 2020 – but in the meantime there would be £150m funding to expand existing grammars or to introduce grammar streams through academy trusts. There was also a suggestion that these new grammars would be much more selective than traditional grammars, with places for the top 10% of the ability range. Another idea was that there would be a single national entry test for grammars, rather than a range of local tests, with the aim of designing an exam that would be more resistant to coaching by private tutors. A Department for Education spokeswoman said that grammar schools have a “track record of closing the attainment gap to almost zero between children on free school meals and their better off classmates”. The spokeswoman said that “99% of grammar schools are rated good or outstanding; and even when you take higher ability intakes into account pupils still perform better in selective schools than in non-selective schools”. Labour’s shadow education secretary, Angela Rayner, said: “When even the Conservative-dominated education select committee calls Theresa May’s new grammar schools an ‘unnecessary distraction’, it’s time that ministers finally sat up and took notice. “There is a crisis in teacher recruitment, schools budgets are being cut for the first time in decades and hundreds of thousands of pupils are in super-sized classes. The Tories should be keeping their pledge to protect school funding rather than pressing ahead with this policy,” she said. Sir Peter Lampl, founder of the Sutton Trust, backed the calls for the government to show evidence that new grammars could close the attainment gap – when less than 3% of grammar school entrants are eligible for free school meals. “Until existing grammar schools demonstrate they can be vehicles for social mobility, the number of grammar schools should not be increased,” said Sir Peter.